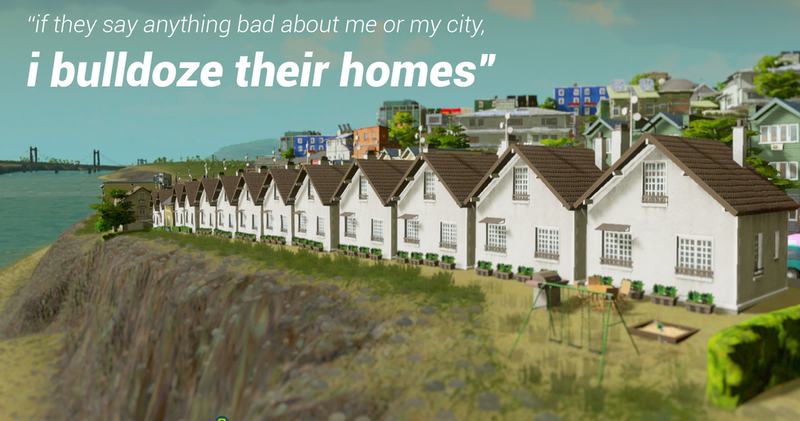 So, turns out Cities: Skylines is a pretty rad game. People like it so much, that the city-building sim is currently the top-selling game on Steam. But what are people saying about the game? Well, if we take a look at the Steam reviews for Cities: Skylines, we'll find a hell of a lot of griping about SimCity and EA. Maybe that's not surprising—everyone is going to compare a city-building sim to the most iconic franchise in that genre. But still. Damn. You can check out more Cities: Skyline reviews here, or look at our ongoing "As Told By Steam Reviews" feature here.